Pastor, meditate on these texts to nourish your faithfulness and silence your anxiety. Local church ministry, whether you are serving as a pastor in an established church, as a church planter, a missionary, an elder, in a staff position, or other, is a little like baseball—it’s an exercise in managing failure. Here’s what I mean: Ted Williams, arguably the greatest hitter in professional baseball history, finished with a .344 career batting average. Williams, nicknamed the “Splendid Splinter,” succeeded only 34 times out of every 100 times he came to bat—he made an out in those other 66 trips to home plate. That’s a lot of failure. Ministry can be like that—or at least it can feel like it. You preach God’s Word week in and week out and more often than not, you don’t see the change that takes place in people’s hearts. Sanctification is gradual, comes over time, and is usually invisible as it happens. 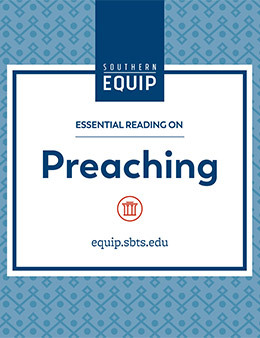 Thus, preaching is not like mowing the lawn or building a table—there is no visible “product” at the end of the sermon. God has called us to faithfully proclaim his Word and leave the results to him—the “leaving the results” part is not easy for people with iPhones and microwave ovens. Anxiety can crash upon the shores of a minister’s life with the impact of a deadly tsunami. Preaching weekly can leave us feeling a little like the mythical Greek king Sisyphus who tricked Persephone, goddess of the underworld. For his shenanigans, Sisyphus was sentenced to an eternity of repeatedly pushing a boulder up a steep hill, only to watch it roll back to the bottom. You prepare the sermon, preach the sermon, prepare the sermon, preach the sermon, wash, rinse, repeat. Every Monday, discouragement lurks like the unholiest of ghosts just outside the study door. To build a dam that will restrain the storm of anxiety and chase away the apparition of discouragement, you need a strong dose of God’s truth daily applied. I want to suggest two texts that have helped me, texts I preach to myself regularly as a guard against two major thieves that threaten to rob me of joy as both a believer and a pastor. Jesus’s thesis is as easy to discern as it is consoling to comprehend: Because God is your God, you don’t have to be anxious about your life. Our Lord here presents an argument from lesser to greater: Since God feeds the birds of the air, he clothes the flowers of the field, how much more can he be trusted to take care of his people? Ministers—and people in the pew—are to make God’s redemptive rule and right relationship with him the highest priorities of their lives, and we must concern ourselves with today, not tomorrow, trusting that God will provide for us, our families, and our congregation. Jesus’s words here need not be limited in their application to the provision of physical needs—though that’s clearly in view and is of profound comfort to us—but may be applied to our need for spiritual sustenance as well. Our Lord’s words here ought to liberate us from the success syndrome—measuring ministry success on purely human scales. I pray through this pithy parable virtually every Saturday night before I head to the pulpit on Sunday. It is a reminder of who builds God’s kingdom. For the man of God, here is the liberating truth in this passage: Everything is God’s doing. Are the people in your church growing spiritually? God is doing it. Are there lost people coming to Christ? God is doing it. Are there new members joining the church? God is doing it. Are you in a drier season in which nothing seems to be happening? God is doing it. Keep planting the seed. I relish this parable’s teaching because it reminds me that I am only responsible to sow the seed faithfully. By no means is this a call to passivity. Do we diligently seek the conversion of lost people? Certainly. Do we labor intensely to see lives changed? Of course. That’s why you surrendered to ministry in the first place. But is God’s under-shepherd under pressure to make it happen? By no means. If hearts are to change, God must do it, and elsewhere Jesus promises to build his church and even the power of hell will not prevail over it (Matt. 16:18). God is sovereign over my congregation, and I must rest in that. That precious promise drives away anxiety and discouragement on those days when nothing seems to be happening in ministry, when I’m sowing but nothing seems to be growing. If I have been faithful, I can plant the seed and rest easy in Christ, knowing his Spirit will cause the seed to germinate and take root in human hearts, in soil made good by the Holy Spirit (see Mark 4:1-9). I need not pressure the people, harangue them, cajole them, or wring my hands in perplexity. This parable comforts me with the truth Luther understood, the truth that was the catalyst for one of the greatest revivals in church history 500 years ago: “The Word did everything, I did nothing.” Indeed. Brothers, this Thanksgiving week, let us give thanks to our faithful, mighty Lord that he has given us these precious texts to help us beat back the twin monsters of anxiety and discouragement. May the God of peace give you grace to sow the seed, trust him wholly, and rest in the promises of his all-powerful Word.